Though derived from the popular Ford Escape platform, the 2016 Lincoln MKC adds an abundance of luxury, technology and quietness to an already admirable design. While some people think a true luxury car shouldn't have pedestrian roots, look at two of the MKC's most notable rivals, the Acura RDX and the Cadillac SRX. You can't tell at a glance, but they're based on the mainstream Honda CR-V and Chevrolet Equinox, respectively. Here's the real question: Is the MKC sufficiently better than the Escape to justify its premium pricing? If you ask us, the answer is yes, and we'll explain why. First, the MKC looks great on the outside, but it also has a unique interior with available high-end leather upholstery. Under the hood, the base 2.0-liter turbo is the Escape's top-of-the-line engine, and the 2.3-liter turbo is an MKC exclusive. Additional MKC-only options include an adaptive suspension and a thumping THX II Certified Audio system, both of which are must-haves in our book. Do you absolutely need this stuff? Of course not, but that's the whole point of a luxury vehicle. If you're looking to get a little fancy with your next crossover, the MKC certainly makes a compelling case. 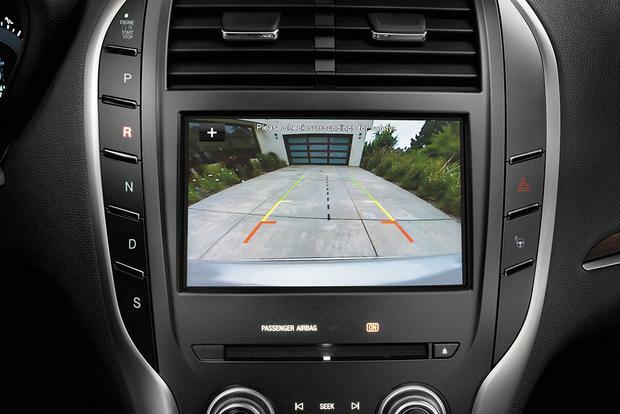 The 2016 MKC benefits from Lincoln's improved SYNC 3 system. The Select model gains a power rear lift gate and available White Sands/Espresso interior, while the Climate package gains a windshield de-icer. The tow rating with the 2.3-liter engine increases to 3,000 pounds. 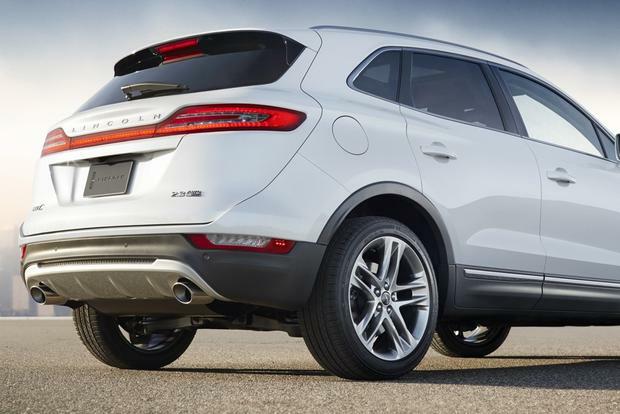 The MKC's base engine is a 2.0-liter turbocharged 4-cylinder rated at 240 horsepower and 270 lb-ft of torque. Fuel economy is an admirable 20 miles per gallon in the city and 29 mpg on the highway with standard front-wheel drive, dropping to 19 mpg city/26 mpg hwy with all-wheel drive. 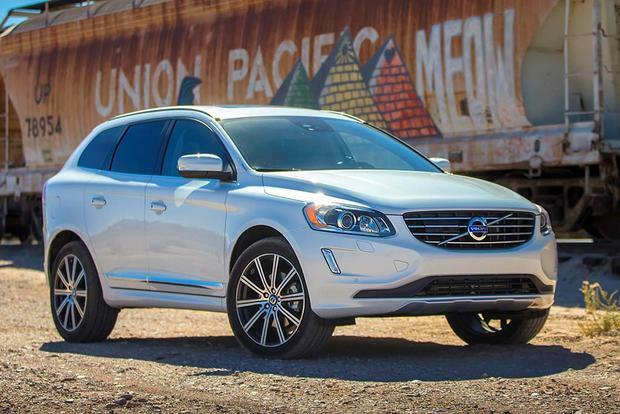 The optional 2.3-liter turbo four cranks it up to 285 hp and 305 lb-ft. It comes with all-wheel drive only but manages to be nearly as fuel-efficient as the base all-wheel-drive model, checking in at 18 mpg city/26 mpg hwy. 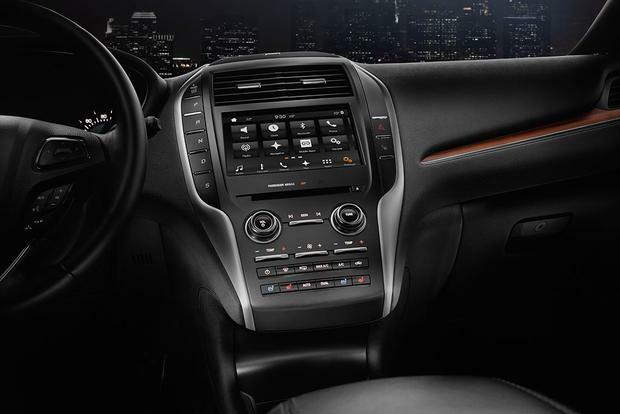 Both MKC engines are teamed with a 6-speed automatic transmission. 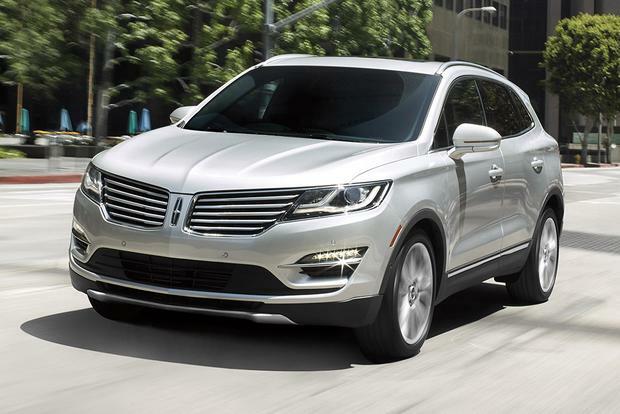 The 2016 Lincoln MKC is offered in four trim levels: Premiere, Select, Reserve and Black Label. Note that the 2.3-liter engine can be added to any MKC trim. The Premiere ($34,155) comes standard with 18-inch wheels, xenon headlights, LED headlight and taillight accents, keyless entry with push-button starting, heated front seats with power adjustments (10-way for the driver and 4-way for the passenger), leatherette upholstery, dual-zone automatic climate control, a backup camera, a 9-speaker stereo and the MyLincoln Touch infotainment system with an 8-in touchscreen, SYNC voice controls and USB- and SD-card connectivity. The Select ($37,985) throws in different 18-in wheels, a universal garage-door opener, auto-folding side mirrors with LED turn-signal indicators, a hands-free lift gate with a foot sensor, exclusive Bridge of Weir leather seating surfaces, a fancier steering wheel with its own upgraded leather and an 8-way power passenger seat. The Reserve ($41,355) goes to town with another 18-in wheel design, heated and cooled front seats, a panoramic sunroof, a blind spot monitoring system with cross-traffic alert, a navigation system and compatibility with a special Lincoln smartphone app providing vehicle status reports, GPS location services and more. The Black Label ($47,350) expands on the Reserve by adding 19-in wheels, an Alcantara headliner, additional leather covering the dash, doors and console, an upgraded audio system and a choice of unique Black Label interior-design themes. Owners also have full access to the Black Label service, which includes a personal shopping liaison, complimentary car washes and detailing and a premium maintenance plan. Options include 19- or 20-in wheels, adaptive suspension dampers with selectable modes, a 14-speaker THX II Certified Audio system and two packages: the Technology package (adaptive cruise control, lane-departure warning, forward-collision warning and self-parking systems) and the Climate package (heated rear seats, a heated steering wheel, a windshield de-icer, automatic high beams and rain-sensing front wipers). Cargo capacity behind the MKC's rear seats measures a modest 25.2 cu ft., while folding down the rear seatbacks only opens up 53.1 cu ft. That's more on par with hatchbacks or small wagons than comparable luxury crossovers. The same goes for the MKC's back seat, which is adequate by default but quickly shrinks when the front occupants slide their seats back. Compact is the word for the MKC's cabin. The 2016 MKC earns four out of five stars in the government's front and rollover crash tests and five stars in the side-impact test. The Insurance Institute for Highway Safety gives the MKC its best rating of Good in the moderate-overlap front and side-impact crash tests. The MKC comes with standard stability control, 4-wheel anti-lock disc brakes and seven airbags (front, front-side, driver's-knee and full-length side-curtain). Optional safety features are offered via the Technology package and include adaptive cruise control, lane-departure warning, forward-collision warning and self-parking systems. 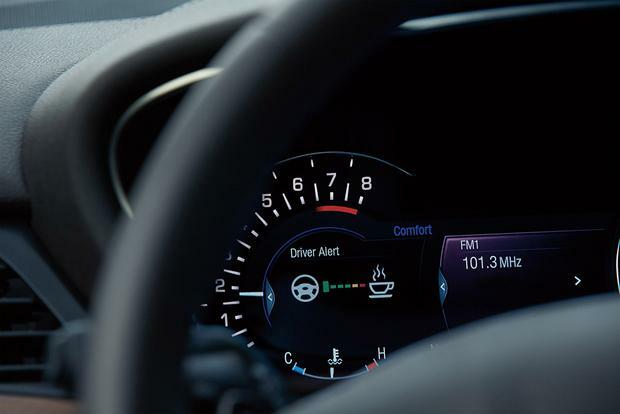 Interestingly, the lane-departure warning system can provide gentle steering inputs to correct a wayward course, though it will not assume full control of the vehicle. In our interior evaluation of the 2016 MKC, we tipped our cap to the good folks at Lincoln for creating a genuinely luxurious environment. 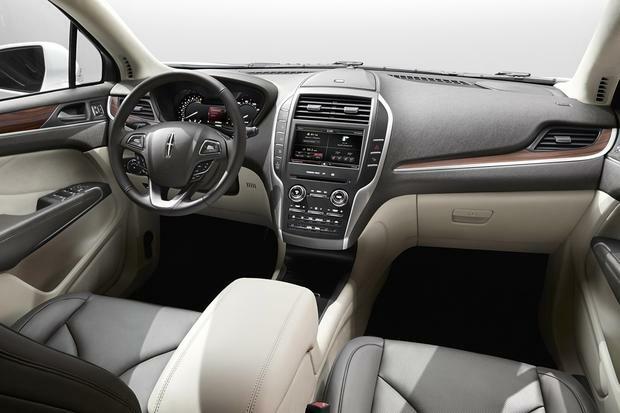 The dashboard, door panels and upholstery are pure Lincoln, including the brand's distinctive push-button transmission interface next to the center stack (there's no gear lever to be found, though there are shift paddles on the steering wheel). The climate buttons look like they came from the Ford parts bin, but they're better than the virtual buttons found in some rival cars. On the technology front, the new SYNC 3 upgrade is a vast improvement over the old system. If you crave the latest tech, you'll love the extraordinarily deep feature set. We should warn you about the available THX II Certified Audio system too, because once you hear it pump out your favorite tunes like you're in a surround-sound movie theater, it'll be hard to resist forking over the extra dough. On the road, the MKC is quiet on most surfaces. 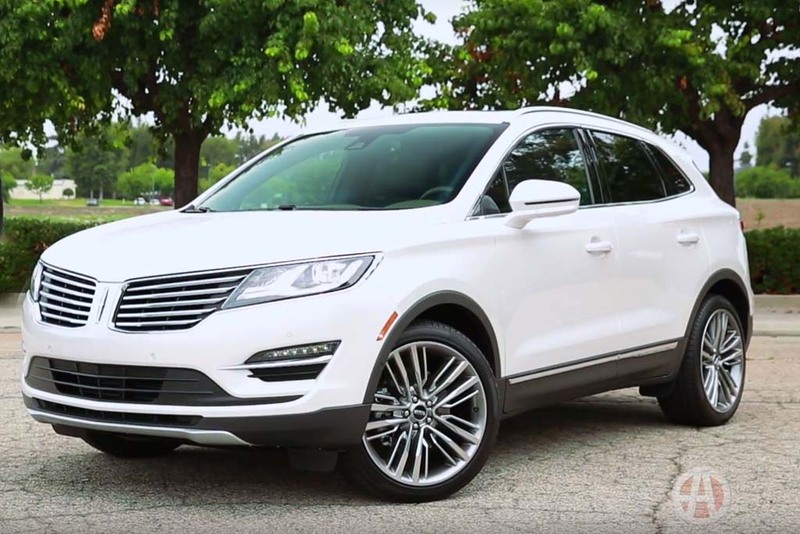 Lincoln worked hard to differentiate the MKC from the Escape in this regard, and it's readily apparent at highway speeds. Another unique offering is the optional adaptive damping system, which provides driver-selectable modes ranging from couch-comfy to Euro-firm. This isn't a gimmick, as it really works on both ends of the spectrum. With or without those nifty dampers, the MKC shares the Escape's sharp, sporty character when pushed, so it makes quick work of twisty 2-lanes. In a straight line, the MKC's nearly 2-ton curb weight with all-wheel drive holds it back, but there's still ample turbocharged thrust on tap, no matter which engine you select. The base front-wheel-drive model is quicker than you'd think, as it's significantly lighter than all-wheel-drive examples. 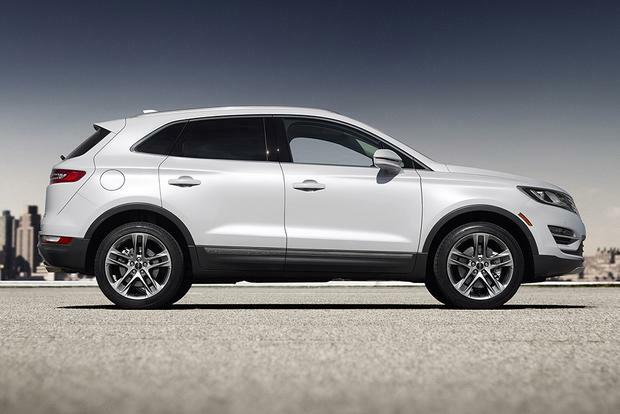 2016 Audi Q5 -- It may be growing old, but the Q5 clearly inspired the MKC's styling, so it's still a trendsetter. If you want authoritative acceleration, try the supercharged 3.0T model. 2016 BMW X3 -- The X3 is a formidable all-around competitor with generous interior dimensions, and like the Q5, it offers a high-powered model (the 6-cylinder xDrive35i) for those so inclined. 2016 Lexus NX -- The NX 200t presents a sharper image, more luxury and performance features and superior resale. There's also a hybrid NX300h model delivering a combined 33 mpg fuel economy rating. Used Lexus RX 350 -- Considered the gold standard for luxury SUVs, a 2012-2014 Lexus RX 350 will give you more interior room, a smoother ride, better acceleration and better long-term resale value. The MKC is at its best with adaptive dampers and the THX II Certified Audio system, but we could do without many of the other add-ons. If you can find one with just those options, you'll have a lot of car for under $40,000.